Victorian specialists in servicing, repairs and installation of all domestic gas appliances. Get in touch today! 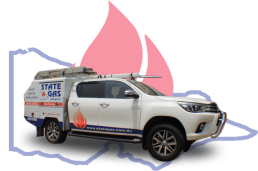 State Gas Appliances is a progressive Clayton South based company, formed in 1993. We specialise in the servicing, repairs and installation of all domestic gas appliances, (heaters, stoves, ovens, hot water units), renewal of gas lines, preventative maintenance and quick changeover of burst hot water units. All works are carried out by our team of experienced qualified tradesmen. We also sell and install a large range of new and reconditioned gas heaters, stoves and hot water units. © Copyright 2018 Sprout Online All Rights Reserved.